We pay taxes to fund democratic institutions and to support public infrastructure, programs and services that sustain the common values of a society. A tax system is essentially a pool of money that collectively provides service to individuals and communities. Although nobody likes paying them, taxes are necessary for the well being of communities. We usually complain about having to pay them or about the high tax rate in countries like Canada. But just as we acknowledge the encumbrance of having to pay taxes, we should recognize what we get out of them. Otherwise, it would be like going to the store and complaining about having to pay for goods and services without acknowledging what we have received. According to some of the core tenets of Catholic social thought, subsidiarity and solidarity, our degree of commitment and integration with one another must begin at the local and personal level. We are called to care for the well being of all, specially for those who are poor and marginalized. Individuals, families, neighbourhoods and churches are best prepared to respond to the needs of those in a specific community. Yet, a tax system remains an important contribution to the common good. Taxes are a way for us to fulfil our obligation to promote justice and to respect everyone's right to live in dignity. The things paid for by our tax money constantly provide us with benefits we take for granted. It helps to keep our streets safe via law enforcement, to provide parks and to create legal safeguards for employees and businesses. According to Canadians for Tax Fairness, the average Canadian household receives about $41,000 in public services each year. This is a great blessing for individuals and communities – particularly for those with the least resources. Certainly, this is not the first thing that comes to mind when it comes to paying our taxes. Past generations have paid for much of what our communities have – schools, hospitals, roads. Paying our taxes today enables us to pay it forward to future generations. The way we take care for what we have today prevents us from passing the bill to our children and our children's children. If we do not provide appropriate funding for our social, environmental and economic problems today, the solutions in the future will be more expensive. Preventive, coherent and sound actions are always better than emergency measures. In this sense, taxation is a sort of investment – an investment in shared prosperity and a reflection of our shared responsibility. Over the summer, the Canadian Centre for Policy Alternatives published a video that follows a day in the life of our tax dollars. It looks at how our taxes provide for things in our communities: public health care, safe food, clean water, public parks, public transit, law enforcement, fire protection, etc. The video concludes with the phrase, "Taxes. Our gift to each other." I truly appreciated the video because it reminded me that paying taxes is not only a civic duty, but also a gift we bestow on one another. It is one of the ways we care for one another; though, certainly, not the only one. Without a doubt, it hurts having money deducted from our pay-cheques, or having to pay income taxes. Many families struggle because of the burden taxes impose on them. 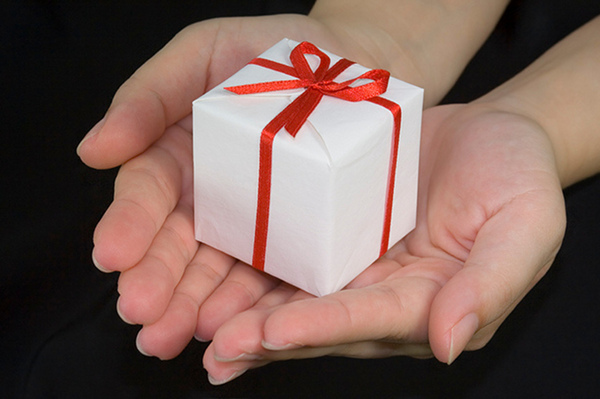 Paying taxes might not feel like bestowing a gift on others at all. Giving someone a gift is usually an exercise that involves the joy of endowing someone with a present. As someone who pays and enjoys the benefits of taxes, I understand the tension between the sacrifice involved in paying taxes and the good those taxes can accomplish. This is a creative and life-giving tension. We are called to sacrifice something for the good of many. If we are intentional about seeing taxes as a gift for the well being of the members of our community, paying taxes is a sort of offertory. In understanding the value and meaning of our offering, we become grateful for the purposes it serves: fostering justice and loving one's neighbour. It in turn nourishes and maintains those who benefit from the gift. In such a way, it can be said that paying taxes is Eucharistic. As much as I agree with you in many ways, I see paying our taxes as a double-edged sword. In many ways it does help support our community and all but at the same time we are forced to put our money into a collective pool that may support causes that we do not support or structural oppression embedded within the system the we live in. Good beginning, Santi. But the further benefit of paying taxes is that it is a way for us to fulfill our duty to care for the poor by funding social support programs. It is a gift we give to those cannot repay us.